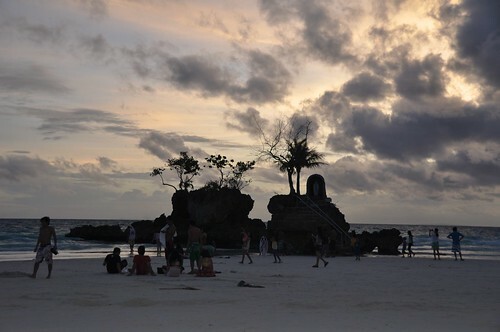 This is the first time I’ve been to the “sunrise” part of Boracay, the Bulabog beach. On this side, luxury condotels and retirement/ vacation residents are sprouting left and right. 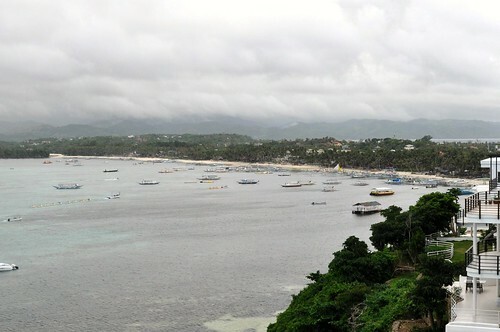 I also got the chance to be shown around one of the splendid suites of 7stones Boracay. So technically, we only had 2 full days in paradise. I’ll bore you to sleep if I give you accounts of our day, but since this is my blog, I have the right to bore you to sleep! We wake up. We eat breakfast. We hang at the beach – nap, swim, sunbath, yes there was sunshine! 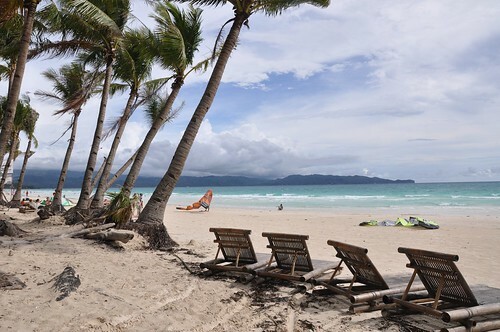 Wet and dry season in the Philippines converge in August and alternates throughout the day. Then we walk to D’mall to have lunch. Then walk around to shop for souvenirs and whatnots. Then find a place to sit and have coffee. I also lugged around my Nikon D90 everywhere taking pictures and HD videos. I lost my lens hood (@#$%^&!). But then, if I have to lose something, like I always do, then i guess the lens hood better than the lens. 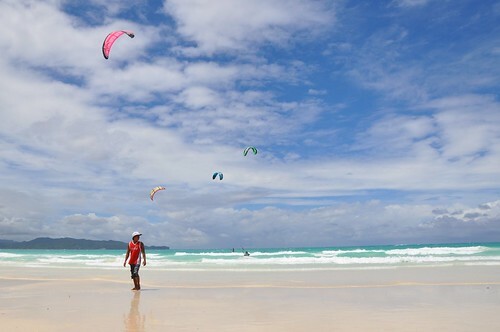 Strolling the famous long white beach of Boracay, it’s impossible to not notice is the now fashionable water sport of kitesurfing. It looks absolutely exhilarating! I wanted to try it but maybe another time. 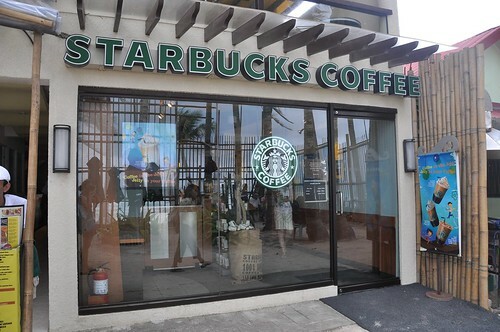 It costs P3,000 (USD60) to try for 2 hours, including the lessons. On our last day, we again had to wake up early to catch a noon time flight back to Manila. But I believe my parents enjoyed our little holiday, despite the long travel and the itinerary of doing nothing. 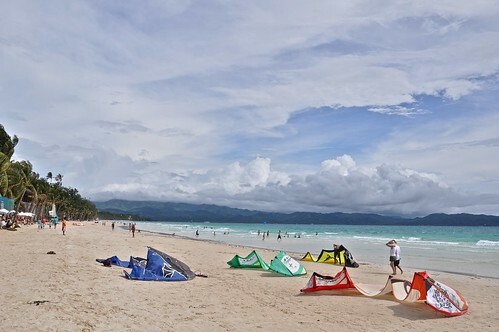 Perhaps they would come back when the Caticlan airport is fixed, if only to experience a proper Boracay sunset, which we didn’t witness in 3 days due to the over abundance of clouds. Anyhow, this is the best I got. Better luck next time I suppose.